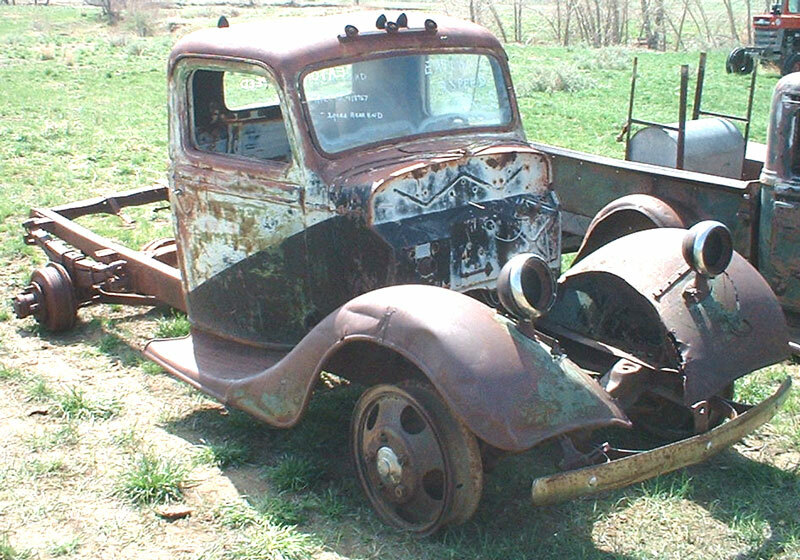 The 1936 Ford 1 1/2 ton truck has a good, solid body and frame and is ready to be restored. 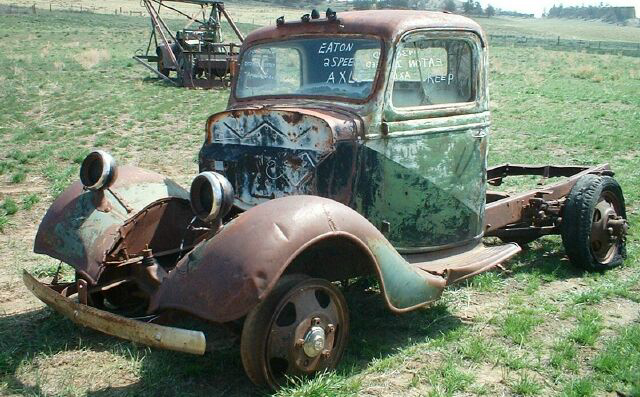 The cab, doors and front fenders are solid. There are a few repairable dents and welded cracks in the fenders. The right running board is good. The front of the left running board and back of fender are dented. 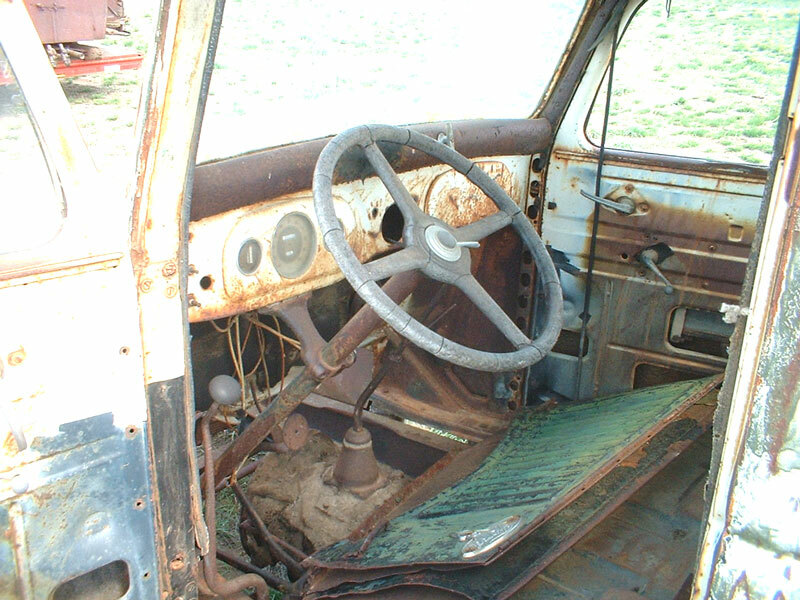 The hood is inside the cab. The seat is missing. The dash is good, except the radio is gone. The seat is missing. The floor is good. 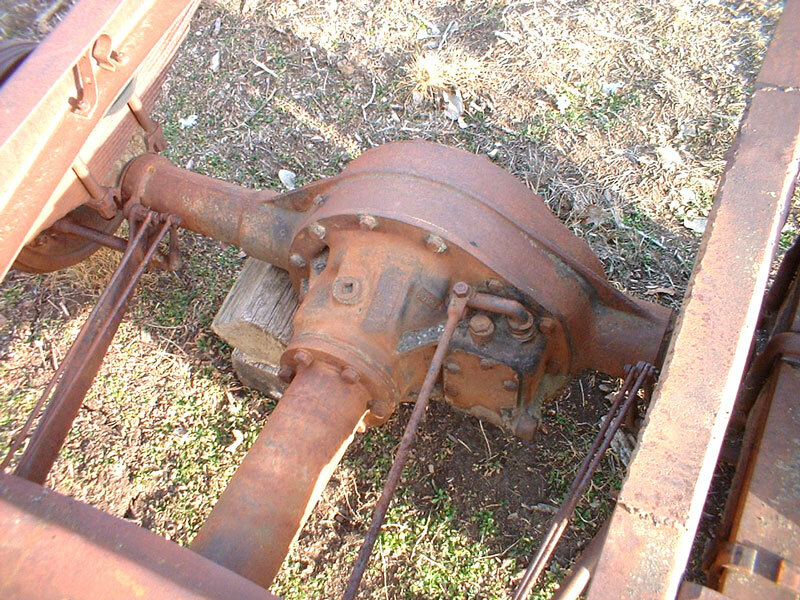 The truck has a scarce Eaton 2 speed rear end. The truck has rear dual wheel setup and no bed. There is no motor, radiator or grill.